Lord Lynedoch was born Thomas Graham, the third and only surviving son of Thomas and Lady Graham of Balgowan, Perthshire, in Scotland. Born on 19 October 1748, he was educated at home by ministers and scholars, and then went to Christchurch College Oxford. He inherited the huge family estate at only 19, when his father died. After university he travelled on the Continent and learned French and German. Back in Scotland, Graham learned to manage and improve his estate. He enclosed his lands, erected comfortable farmhouses and offices, granted leases to his tenants, and encouraged them to provide improved implements of husbandry, and to cultivate on a large scale potatoes and turnips, which had hitherto been regarded as mere garden plants. He also set himself to cultivate improved breeds of horses, cattle, and sheep. In 1785 he bought the estate of Lynedoch or Lednoch, in a picturesque part of the valley of the River Almond, planted trees and oak coppices, and improved the banks of the Almond. He loved horses and dogs, and was distinguished for his skill in all country sports. He rode with the foxhounds, together with the Duke of Athole, who afterwards became his brother-in-law, in grouse-shooting and deer-stalking on the Athole moors. In 1774, aged 26, Thomas Graham married the beautiful and accomplished Mary, a daughter of Lord Cathcart. 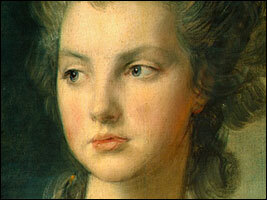 Mary was born in 1757 and was sometimes described as one of the most beautiful women in the world. 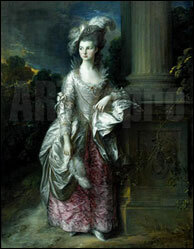 Thomas Gainsborough himself painted Mary Graham four times with the first sittings taking place early in 1775 when she and her husband were in London - which they were for the early period of their marriage. Afterwards, with his books, the improvement of his property, his field-sports, and, above all, the company of his lovely and amiable wife, Thomas Graham spent eighteen years as a country gentleman, loved by his neighbours and tenants, known as a daring rider and sportsman, and a good classical scholar. Gainsborough’s "Dairymaid" Portrait is now in the possession of the Tate Gallery in London. Family tradition holds that a friend of Gainsborough, commenting on the beauty of Mary as she appears in the large picture, added that the rich and delicate colouring and texture of the clothes she wore contributed a great part of the beauty. Gainsborough refuted this, saying he would undertake to make a picture of her in which she would appear equally beautiful - in the dress of a housemaid. He then sketched, in sepia, a full length portrait of Mary, not as a housemaid but as a dairymaid, surrounded by all the implements of a Scottish dairy. Mr. and Mrs. Graham lived mostly at home, but they occasionally spent a few weeks in Edinburgh and London, and several stories remain from this time. On one occasion, when the couple went to Edinburgh to attend a ball, Mrs. Graham discovered, on the morning of the ball, that she had left her jewel-box at Balgowan. Saying nothing, Graham left the house, and rode back to Balgowana distance of forty-five miles, including a ferry. Relays of horses enabled him to get back to Edinburgh, bringing Mrs. Graham’s jewel-box, in time for the ball. Robert Burns visited the couple whilst on a tour of the Highlands. The poet afterwards declared that the two days which he spent there, were among the happiest days of his life. Graham was one day driving in London, with the Duchess of Athole and his wife, from Pall Mall to Grosvenor Square, to attend a party. 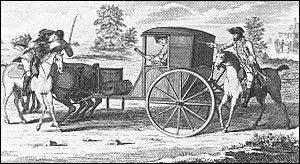 The carriage was stopped in Park Lane by a highwayman, who, pistol in hand, demanded their money, jewels, and watches, while two other men seized the horses’ heads. Park Lane was then unlighted, and the police were not only inefficient, but sometimes in collusion with villains. 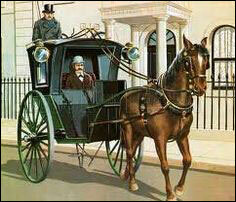 Mr. Graham jumped across the ladies to the carriage-door, collared the highwayman and threw him to the ground. Then, drawing his sword, which at that period formed part of a dress suit, he threatened to run the man through, if the others tried to help him. They fled, and the highwayman was captured. Sadly for her husband and dozens of ardent admirers, poor Mary was stricken with tuberculosis and began to waste away, becoming extremely frail and weak in the process although her beauty was apparently very little diminished. It was during a restorative holiday in Brighton that she was to be introduced to today’s other great beauty, Georgiana of Devonshire and the two became the best of friends. Some reports implied that they were more than friends. 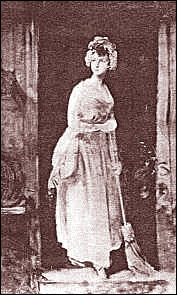 Mrs. Graham’s health began to decline, and on the recommendation of her doctor she went, in the spring of 1792, to the south of France, along with her husband and sister. But she died on board ship, off the coast near Hyères. Her devastated husband hired a barge to take the casket to Bordeaux. But near Toulouse a band of drunken French Revolutionaries seized the coffin, which they said contained treasure, and prised it open. 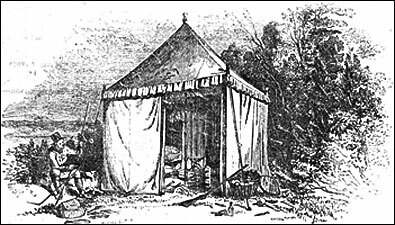 They did not harm Mrs. Graham's body, but a new coffin had to be made, and Graham had great difficulty in getting her remains safely to England. After a year of desperate mourning, described in a poem “Vision of Don Roderick” by Sir Walter Scott, Graham joined, as a volunteer, the British troops sent to the defence of Toulon, one of the few places which held out against the French Revolutionary Government. Napoleon Bonaparte, then a lieutenant of artillery, took part in the siege. Graham distinguished himself greatly by his courage. It was there he met his life-long friend, Rowland Hill, who eventually became commander-in chief of the British army. On his return to Scotland, Graham raised, in Perthshire, at his own expense, the first battalion of the 90th regiment (Balgowan’s ‘Grey Breeks,’ as they were called), of which he was appointed lieutenant-colonel in 1794. Shortly after he was chosen to represent the county of Perth in Parliament. 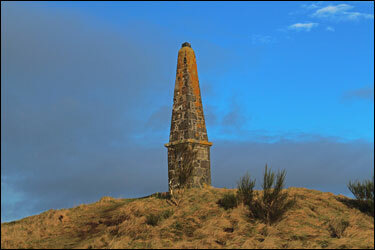 A substantial obelisk on the right bank of the River Tay in Perth, the Lynedoch Monument lies on the North Inch, a short distance north of Smeaton's Bridge. It was unveiled in 1896 to commemorate the 90th Light Infantry (Perthshire Volunteers), and its successor army regiments, together with their founder Thomas Graham of Balgowan (1748 - 1843), who raised the regiment in 1784 and later was elevated to the peerage as Lord Lynedoch. The obelisk is constructed of polished granite and was the work of local craftsmen, David Beveridge & Sons. There were once drinking fountains pouring into basins on the side of the monument. Graham served in various campaigns in Europe as a British Commissioner, including the blockade of Malta which led to the island becoming a part of the British Empire. He spent some time in Constantinople, and then travelled on horseback to Viennaa journey which later he used to mention as one of the most agreeable rides he had ever made. In 1808 Graham accompanied Sir John Moore as his aide-de-camp to Sweden, and then to Spain, ending in the famous retreat to Corunna. 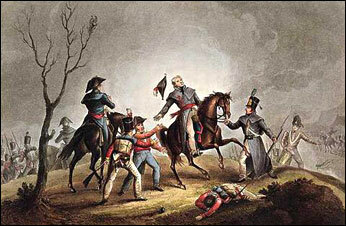 He was one very few who witnessed Moore’s burial on the rampart of the citadel of Corunna. Graham was promoted lieutenant-general, and was sent back to Spain, to take command of the British and Portuguese troops in Cadiz, besieged by the French. 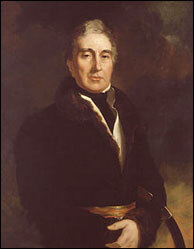 His attack during the siege of Cadiz, brought him to the attention of Lord Wellington. For his brilliant victory at the Battle of Barrosa he received the thanks of Parliament, in his place as a member of the House of Commons. 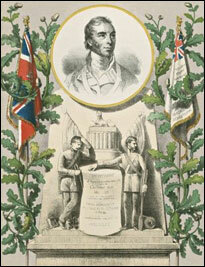 In 1812, Graham joined the army under Wellington, and was appointed second in command. He took part in the siege and capture of Ciudad Rodrigo, and Wellington declared that he was much indebted to him for this success. Three months later Graham and his friend General Hill received the Order of the Bath. Suffering a problem with his eyes, he was forced to return home, but the following year he returned to the Army and led significant campaigns in Portugal, the Pyrenees and the Netherlands. On 3 May 1814, Thomas Graham was raised to the peerage with the title of Baron Lynedoch of Balgowan in the County of Perth, but he declined the grant of £2,000 a year which went with the title. He was also honoured with the Order of the Bath. When peace was signed in 1814, Lord Lynedoch retired into private life at the age of 67. Being fond of hunting in England, he took a house in Northamptonshire, near Salcey Forest. He then rented The Priory at Cosgrove for ten years, entertaining many distinguished guests. 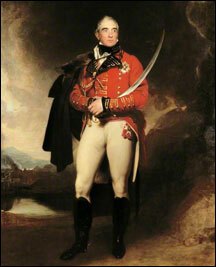 He loved hunting, and rode with the Duke of Grafton’s Hunt. When residing at the Priory, he would, after a late night London dinner party, be at the meet of hounds in Northamptonshire at half past ten next morning. 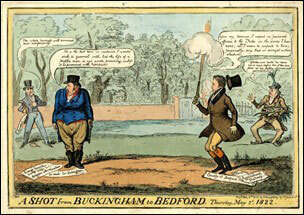 Lord Lynedoch was constantly in the public eye and the subject of frequent attention by the press, as in this cartoon published when he acted as the duke of Bedford's second in his duel with the duke of Buckingham in Kensington Gardens in 1822. The public continued to be fascinated by the doings of Lord Lynedoch, and his comings and goings from Cosgrove were reported in the National press. Taylor described Graham as "tall, square-shouldered, and erect, his limbs sinewy and remarkably strong. His complexion was dark, with full eyebrows, firm-set lips, and an open, benevolent air. His manners and address were frank, simple, and polished". We know that Lord Lynedoch had his own pew in Cosgrove Church. On one occasion his prayerbooks were stolen from this pew and a reward was offered for the capture of the thief, who was apparently a vagrant lurking in the village. Lynedoch left the Priory when he had to give up hunting at the age of 77, around 1824, not through any bodily weakness but on account of cataracts on both eyes. We have records of the inventory and re-letting of the Priory at this time, made famous by Lord Lynedoch’s tenancy. To own or lease Lord Lynedoch’s own Hunting Lodge would have been the making of a man. This was not the end of the extraordinary Lord Lynedoch - five years later his cataracts were successfully operated upon and he was again able to ride. He then bought a string of racehorses from which he derived much pleasure. Queen Victoria was among those who congratulated him on his success at Epsom in 1839, where Jeffy, a two-year-old colt he had bred, won a plate, a feat he was to repeat at Newmarket in 1842. He travelled frequently, visiting Italy, Germany, France, Denmark, Sweden, and Russia. In 1841, aged 94, he travelled through France to Genoa and Rome. His riding-horses were sent on to Rome, and he rode frequently in the Campagna. 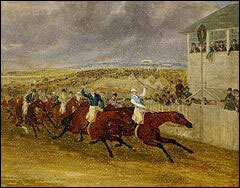 Lynedoch hated to be thought old, and would go aside with his servant, that no one might see him helped on horseback. When he shot grouse at a very advanced age on Glenesk, he could not be persuaded to sleep in the lodge, but “Lay, like a warrior taking his rest,” on his own iron bedstead and bear rug, in a portable tent outside, and caught such a violent cold that he had to return home. He died at his London home in Stratton Street on 18 December 1843, aged 95, after a very short illness: he rose and dressed himself on the day of his death. When he finally died, it was in his clothes and sitting up, almost unconscious but determined not to give in. 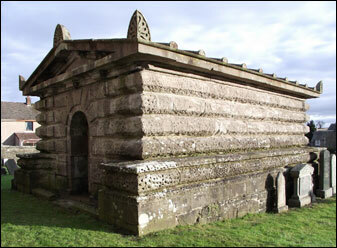 On the death of his wife, Thomas Graham had commissioned Playfair to design a mausoleum to her memory in the kirk yard at Methven, Perthshire.. This gave the architect a chance to put to practice his most advanced ideas and the resultant design in the form of a gigantic sarcophagus is truly amazing for its period. Lord Lynedoch joined his wife in her last resting place in 1848.